ASTANA – Kazakh President Nursultan Nazarbayev signed the constitutional law “On the Astana International Financial Centre” on Dec. 7, the Akorda reported. The law supports the establishment of the new financial centre, which aims to turn Astana into a regional financial hub by creating favourable and attractive conditions for investment and finance. “The bill is focused on the establishment of the centre, which has an area with clearly defined boundaries. It will have its own administration – a council for the centre’s management headed by the nation’s President. It will be in the form of a joint stock company, which will regulate the centre’s activity, as well as a committee on regulating financial services and bills. 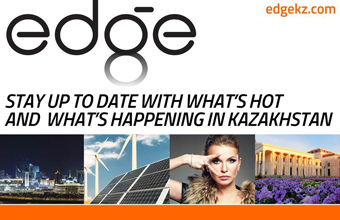 The centre will have a special legal regime,” said Deputy Chairman of the National Bank of Kazakhstan Kuat Kozhakhmetov, according to Vlast.kz, in a previous discussion of the new centre. Members of the Astana International Financial Centre (AIFC) will be exempt from corporate income tax, property and land taxes until Jan. 1, 2066. The AIFC will follow English law and principles and the standards of the world’s leading financial centres. “Citizens of countries of the Organisation for Economic Cooperation and Development, Malaysia, the UAE, Singapore and Monaco, as well as other countries identified by the Kazakhstan government, will be able to have visa-free entry to Kazakhstan for a period of 30 calendar days. Foreigners and stateless persons invited by the residents and bodies of the AIFC will be exempt from the obligation to obtain a work permit in the country,” Kozhakhmetov said during the discussion about a bill in November. The law also outlines the goals, objectives and principles of AIFC activity as well as its regulatory principles and the definition of its bodies and their powers.